With superb acoustics and less than 300 seats, the Scripps Mainstage at Polonsky Shakespeare Center is one of New York’s finest, intimate homes for modern classical theatre. Hear, see, and feel Shakespeare’s urgent political thriller blaze with life. An early incarnation of Ms. Cooper’s staging electrified audiences at Oregon Shakespeare Festival (OSF) in 2017. 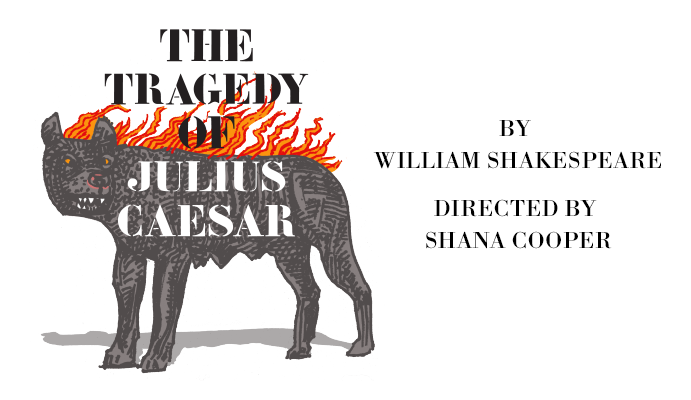 Now in 2019 for TFANA, in her Off-Broadway debut, Ms. Cooper re-imagines Julius Caesar. Shakespeare presents multiple perspectives on whether the Conspirators were patriotic defenders or criminals. Rather than saving the Republic, the assassination plunges Rome into another civil war. Mark Antony joins forces with Octavius Caesar and Lepidus, and conquers the Conspirators. The Roman Republic is replaced by the Roman Empire and power is consolidated under Mark Antony, Octavius Caesar, and Lepidus. Shakespeare’s play is named The Tragedy of Julius Caesar. But who is the tragic character? Caesar, Brutus or, perhaps, the Republic of Rome? With mesmerizing energy, Shana Cooper’s production explores what happens when violence is used to govern, and theatricalizes a mythic cycle that combines the political, psychological, and phantasmagorical… a cycle that has happened before and will happen again. Initially, the violence is rhetorical, but it then becomes a disease, a contagion, and a conflagration destroying what is loved the most. Read a profile on director Shana Cooper on TDF Stages. Deepen your experience of Julius Caesar with free post-show conversations with artists and scholars following these performances. All talks will follow 2:00pm matinee performances unless otherwise stated. 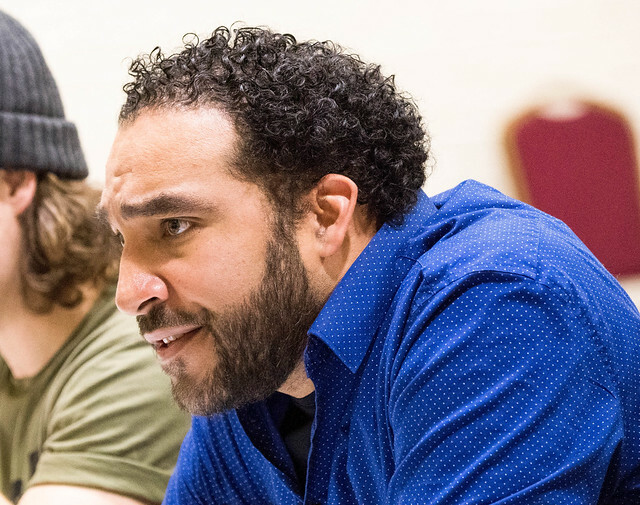 Actors Matthew Amendt (Cassius), Brandon J. Dirden (Brutus), and Merritt Janson (Portia) in conversation moderated by Gail Kern Paster, Consulting Editor of Shakespeare Quarterly and former Director of the Folger Shakespeare Library. Actor and OBIE Award-winning playwright Wallace Shawn in conversation with TFANA Founding Artistic Director Jeffrey Horowitz. Actors Jordan Barbour (Mark Antony), Rocco Sisto (Julius Caesar), and Tiffany Rachelle Stewart (Calphurnia) in conversation moderated by Tanya Pollard, Professor of English at Brooklyn College and CUNY Graduate Center. Tony Award-winning playwright J.T. Rogers (Oslo) in conversation with TFANA Founding Artistic Director Jeffrey Horowitz. John Andrews, the President and Founder of The Shakespeare Guild and former Director of Academic Programs the Folger Shakespeare Library, in conversation with TFANA Founding Artistic Director Jeffrey Horowitz. Novelist and essayist Maaza Mengiste (Beneath the Lion’s Gaze) in conversation with writer and artist Bianca Vivion Brooks, the host of podcast ASK VIV. Shakespeare scholar James Shapiro, author of 1599: A Year in the Life of William Shakespeare and Contested Will: Who Wrote Shakespeare, in conversation with TFANA Founding Artistic Director Jeffrey Horowitz. This production of The Tragedy of Julius Caesar is sponsored by Deloitte. Additional support is provided by Shakespeare in American Communities, a national initiative sponsored by The National Endowment for the Arts in cooperation with Arts Midwest, and by endowment funds provided by The Howard Gilman Foundation Fund for Classic Drama.